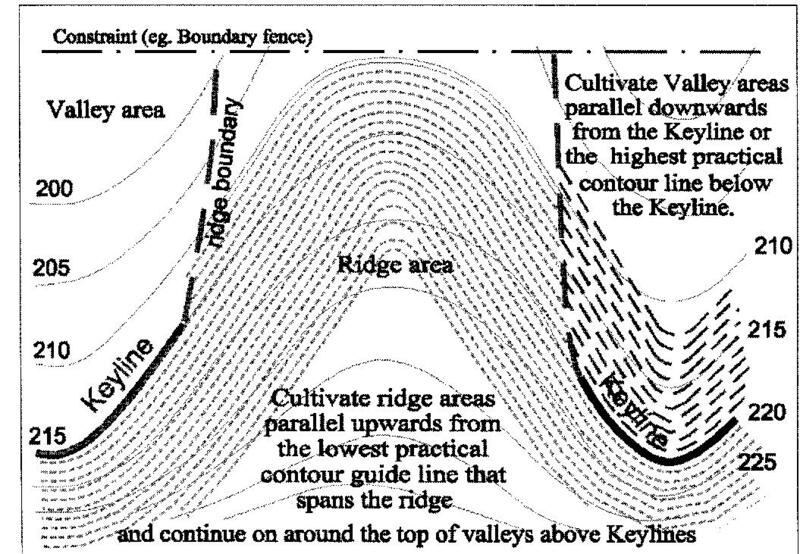 One of our most successful techniques for improving the soil has been Keyline Tilling, as proposed by P. A. Yeomans back in the fifties. The aim is to reduce compaction (our soils were like concrete, all over the farm), improve soil structure and water holding capacity. We use P.A.’s tilling plan, as shown at left. The diagram is from Water for Every Farm, the republished and edited version of P.A. Yeomans’s work, produced by his son Ken. Go to Ken’s website to buy a copy, while it’s a difficult read, it’s worth the effort. The aim of this tilling plan is to get water that falls on the ridge to slowly filter out to the ridge, rather than to run down into the gullies and run away. So far it works a treat. Paddocks we have treated this way have been transformed. From having 3cm or less of topsoil, poor water retention and a monoculture of kikuyu grass, we now see dozens of species of grasses and herbs, anything up to 40cm of topsoil and water on the ridges after rain, where they used to be dry all the time. 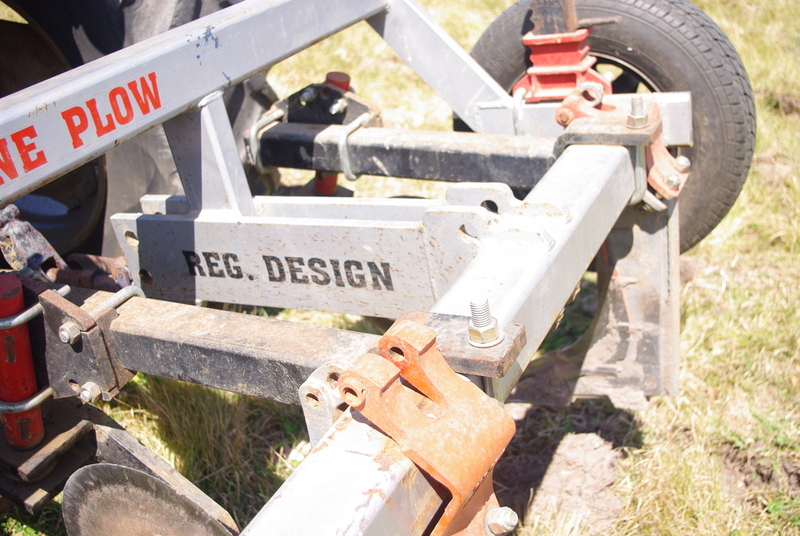 At the same time, compaction is reduced dramatically. Where we used to struggle to set up an electric fence tread-in in anything other than soggy ground (they would just not go into the soil), now we can get them in even in the driest of times.